Shopping for a new Toyota 86? While options are minimal, Toyota 86 buyers can maximize their car with dealer-installed performance and visual accessories. If you value driving fun over pure power, there’s hardly a vehicle more up to the task than the 2019 Toyota 86. The 2019 Toyota 86 is one of the most driver-focused sports cars on the market for those who can overlook its humble power output It’s showing its age, but for 2019 Toyota has added a few options to extend its appeal for those looking for a nimble, fun-to-drive affordable sports car. As far as sports car designs go, the Toyota 86 (pronounced “eight-six”) keeps things simple but proves that sometimes tried-and-true designs are best. We wouldn’t call it beautiful, but this joint project with Subaru (which sells its version as the BRZ) could easily be described as handsome with the high quality for a low price we expect from a Toyota. Where the 86 excels is in its driving experience, and while the steering effort is on the light side, handling is direct, communicative, easy-to-manage, and above all, fun. Narrow tires not much wider than those on Toyota’s own Prius make for a tail-happy experience, though a rear suspension revision last year helps keep things in check. Propulsion comes from a Subaru-sourced 2.0-liter flat-4 with 205 horsepower (200 hp with the automatic) and a sub-optimal 156 pound-feet of torque. 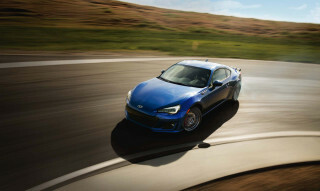 All 86s come with rear-wheel drive and either 6-speed automatic or manual transmissions. The 86’s power is comes on near redline, so spirited driving is best accomplished by shifting as late as possible. When it comes to options, the 86 doesn’t offer many beyond visual upgrades, but even the standard model is well-equipped for a sports car. A 7.0-inch touchscreen infotainment system with Bluetooth is standard along with keyless entry, air conditioning, and a rearview camera. Stepping up to the 86 GT adds a color information display in the dashboard and dual-zone automatic climate control among other features. For 2019, most features carry over, but the GT trim does get the option for red-trimmed sport seats available with any exterior color except both hues of blue. There’s also a new TRD Special Edition package that includes a host of interior and exterior styling tweaks including unique 18-inch wheels, graphics, and an equipment list similar to that of the GT trim. The 2019 86 received four stars federal crash testing but did well in IIHS testing. No active safety tech is available. 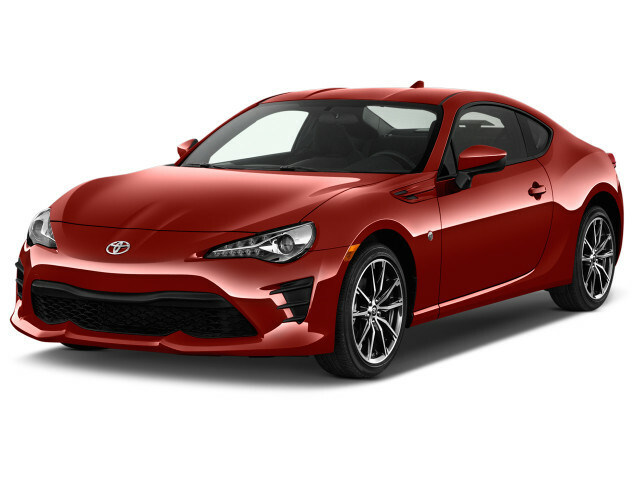 Fuel economy is average, however, as the 86 manages 24 mpg city, 32 highway, and 27 combined with its automatic transmission and 21/28/24 mpg with the 6-speed manual. The 2019 Toyota 86 has the right sports car proportions and an inoffensive design, but fails to get the heart racing just by looking at it. 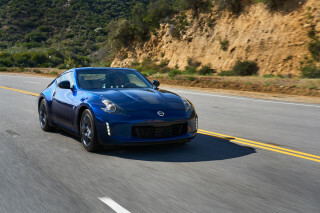 Sports cars should check a certain number of boxes in the styling department, and the 86 meets most of the criteria: long hood, low and wide stance, sloping roof, and an angular front end. While the Toyota pulls these off in a handsome way, it’s mostly forgettable despite forging a distinct identity from its Subaru sibling with a styling update a few years back. Flared fenders and a tidy rear end help emphasize this car’s sporting intentions, but the 86 doesn’t have quite the curb appeal that the Mazda MX-5 Miata does. The new TRD Special Edition package adds some visual intrigue and honors the 86’s tuning culture. The cabin of the 86 is similarly reserved, but function follows form in this case and everything is in its rightful place. The simple, flowing lines still look good, and faux carbon fiber and metallic trim add some character. A two-tone red and black interior is newly available, contrasting nicely with the more reserved exterior colors like black, white, and gray. The TRD Special Edition package adds a red and yellow graphic on the exterior and includes the two-tone interior with a red leather steering wheel. The 2019 Toyota 86’s main mission is all-out driving fun at sub-legal speeds, and it accomplishes this mission valiantly. It’s easy to find the limits of grip in the 86, which is what makes it so fun to drive even at speeds that won’t attract the authorities. Narrow tires like those normally found on hybrid cars make a bit of slip in the rear end possible, making this little sports car more fun at 50 mph than many cars costing two or three times as much. Steering is incredibly direct but not heavily weighted, an area where the 86 could stand to improve.The car’s light weight and excellent balance make that small quibble nearly forgettable. Unfortunately, where the 86 loses some ground is in the power department. The standard 2.0-liter flat-4 sourced from Subaru and tuned with Toyota direct injection sits low and brings the center of gravity down. That’s where our acclaim ends. With 205 horsepower (200 hp on automatic transmission models) and 156 pound-feet of torque, this engine is best used by revving it high as often as possible. Torque is almost nonexistent otherwise. The growl of the boxer engine is not as pleasant as other inline-4 engines such asthe Miata, but does provide some sonic appeal. As with all sports cars, the 86 is best enjoyed with a manual transmission, in this case a slick-shifting 6-speed. A 6-speed automatic is available as well and includes paddle shifters, but is slow on both upshift and downshift and makes the 86 feel limited in its potential for driving fun. A shopping tip: about a third of Toyota 86s have the manual transmission, while nearly two-thirds of Subaru BRZs are so-equipped. A number of dealer-installed performance accessories are available like upgraded exhaust and intake systems, but what the 86 could use is a jolt of power. Fans have been begging for a turbocharged version for years, but it seems their wishes will never be granted. Front-seat passengers will be more comfortable in the 2019 Toyota 86 than they might imagine, but rear-seat passengers are better off taking a bus instead. In the spirit of sports cars you can use on the road or track, the 2019 Toyota 86 was specifically designed to fit an extra set of wheels and tires inside the trunk with the rear seats folded flat. Other than that, you won’t find much practicality here. The well-bolstered front seats provide more comfort than one might first assume from a small sports car.Though there are technically two rear seatbelts, the 86 is best treated as a two-person vehicle. Head and legroom are good up front as well, accommodating even taller drivers with ease, and the trunk is reasonably-sized with the ability to fit a few medium-sized bags, though taller items won’t be able to squeeze in. The interior appears spartan, but material quality is solid and feels well-built. Unadorned functionality is the 86’s mission. Climate and infotainment controls are front and center, and the minimalist displays only show the most pertinent driving information. While crash test ratings are incomplete, the 2019 Toyota 86 is a relatively safe little car that unfortunately lacks advanced safety features. A limited-slip differential improves handling and inspires confidence, and a rearview camera alleviates rear blind spots. There’s also a hill-start assist for manual-equipped cars that uses the brake to keep you from rolling backwards on a hill. The federal government gives the 86 only four stars for frontal crash protection but five stars for rollover, however it hasn’t been fully tested so no overall score can be given. The IIHS gave the 2018 version of the 86 just an “Acceptable” rating in the small front overlap test, but “Good” scores in other categories, and those scores should carry over for 2019 as the 86 is mostly unchanged. Don’t look for active safety tech such as automatic emergency braking or lane-departure warnings. The 2019 Toyota 86 has a sparse options list, but is well-equipped even in base form. 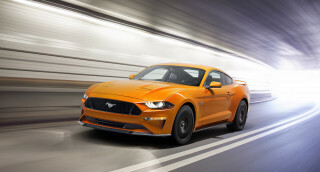 Standard equipment on the base 2019 86 includes cloth seats, automatic climate control, manually adjustable seats, a one-piece fold-flat rear seat, keyless entry, a tilt-and-telescoping steering wheel, cruise control, and sporty touches like aluminum pedals and sleek LED taillights and daytime running lights. A 7.0-inch Pioneer touchscreen for infotainment with Bluetooth connectivity, a rearview camera, an auxiliary jack, and a USB port is standard. If there’s one major reason we’d buy the Subaru BRZ it’s that it is available with Apple CarPlay and Android Auto capability. Stepping up to the 86 GT trim adds dual-zone climate control, upgraded upholstery, a 4.2-inch information display in the gauge cluster, and a rear spoiler. 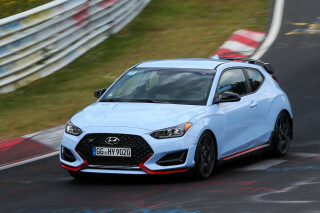 New for 2019 is a TRD Special Edition package, which adds a black and red interior, unique 18-inch wheels and exterior graphics, and a few other styling tweaks to set it apart from other GT cars. The 2019 Toyota 86 is not as efficient as other small-engined cars, but performs adequately. The 2019 86 manages 24 mpg city, 32 highway, and 27 overall for automatic-equipped cars and 21/28/24 mpg for those with a manual transmission. Boxer engines like those used by Subaru and found in the 86 are generally not as efficient as inline 4-cylinders, and that tradeoff shows in the 86. The Mazda MX-5 Miata, for comparison, achieves 26/35/30 mpg and 26/34/29 mpg with its automatic and manual transmissions, respectively, though the Miata is lighter and less powerful than the 86. Looking for a different year of the Toyota 86? Finance: From 2.9% APR for 72 mo.